I have been writing all week — pushing to finish all illustration captions for my book going to press the end of the month. 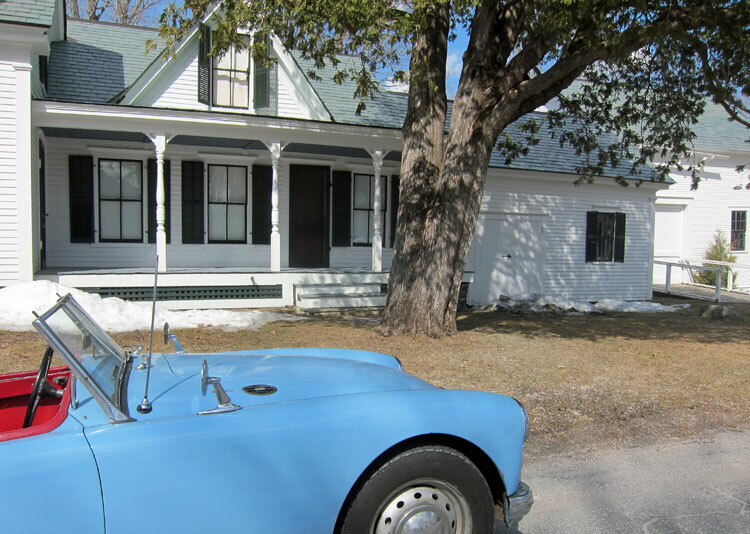 Now, if I am not to be found on a break at the Red Lion Inn in Stockbridge, Massachusetts, where would you expect to find me? 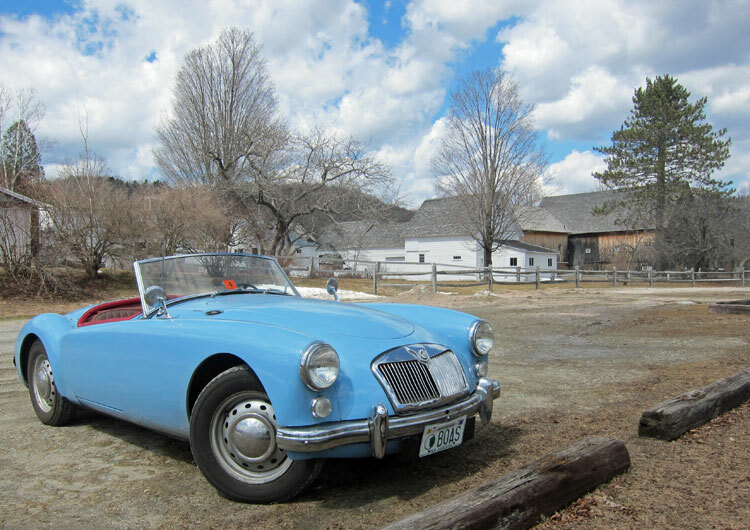 Yes, you are right — Plymouth Notch, Vermont, at Calvin Coolidge’s birthplace and home. 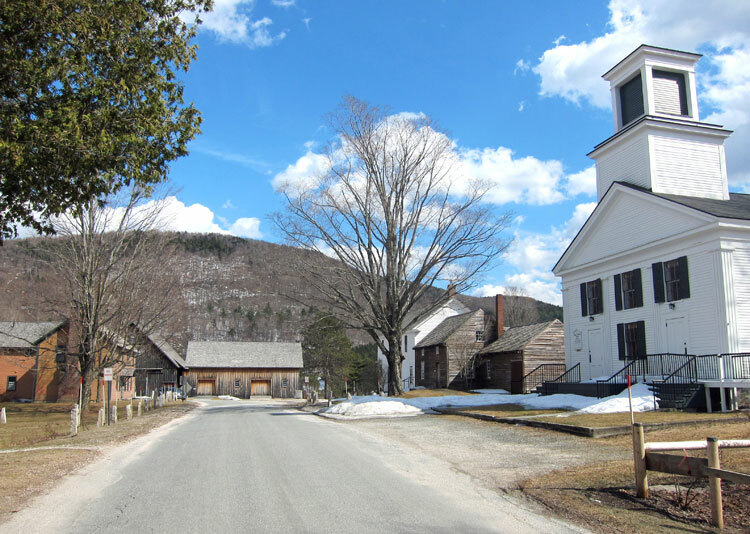 One of the most fantastic and bucolic places in New England. Lady RAB did not go today because of my concern with her charging system, but I believe I have found a fellow nearby who can address my concern – will check with him this coming week. So, off BLUE BELLE and I went a tad after noon today. I must say, even though she has not been on the road since the end of July last year, she is the most pleasurable drive and ride that I have ever owned. And that has nothing to do with the fact that she is the least expensive “toy” in my stable – she is just a joy to drive and cruise in. 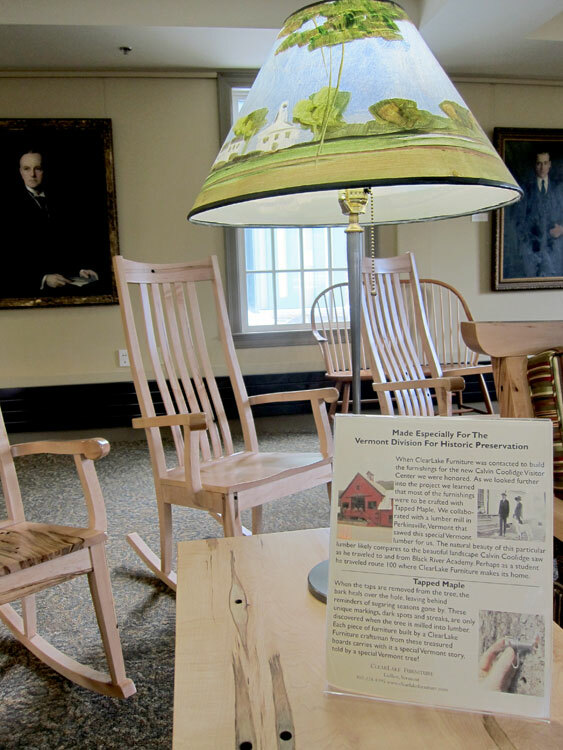 Two weeks ago I read about a special open house at the Calvin Coolidge State Historic Site in Plymouth Notch, VT, and have planned all week that this would be my “reward” for working hard. 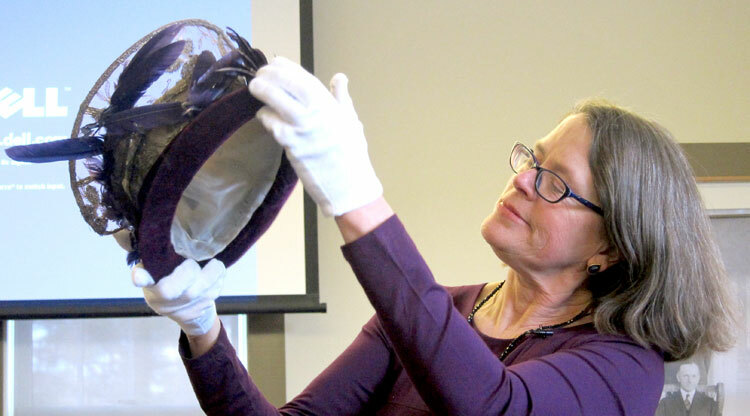 So, off I went for the presentation on HATS! Earlier this week I read an article on 1920’s clothing with the historical impacts changing clothing styles, so I “was primed” for this. Since I have told you so much in the past about Plymouth Notch I will just be brief with pictures and some captions (of course, captions – that has been what I have been writing the past four days). Upon entering the visitor center I greeted Bill Jenney, the director of the site. He is so personable, and I have enjoyed my talks with him the past year. 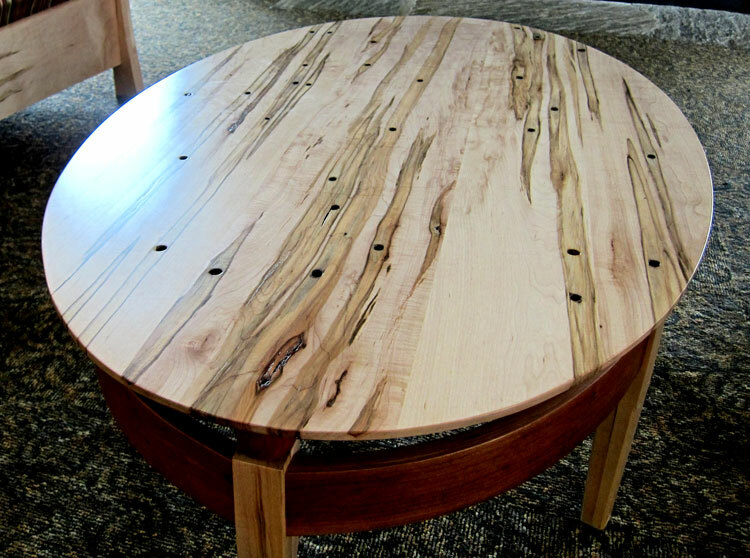 He and I talked about the fascinating furniture in the lounge area. 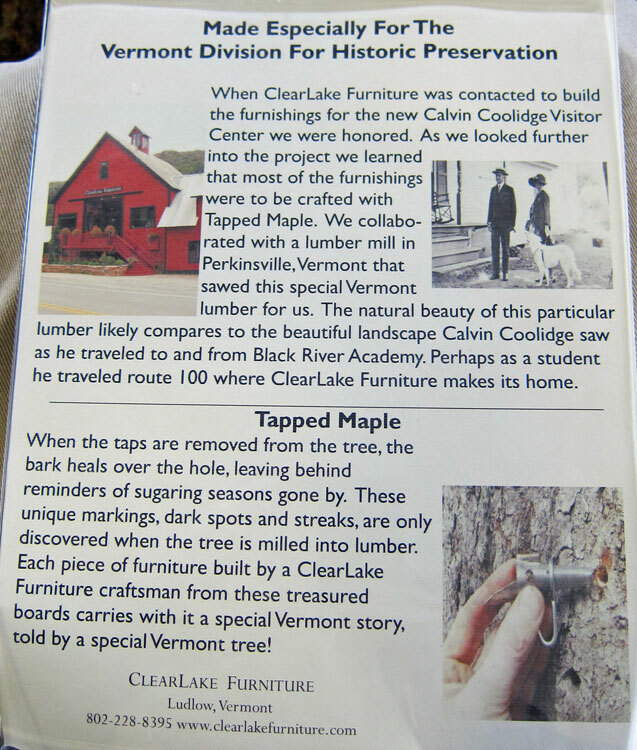 This was so reminiscent of my trip recently to area sugar houses and seeing items made from sawn sugar maples. 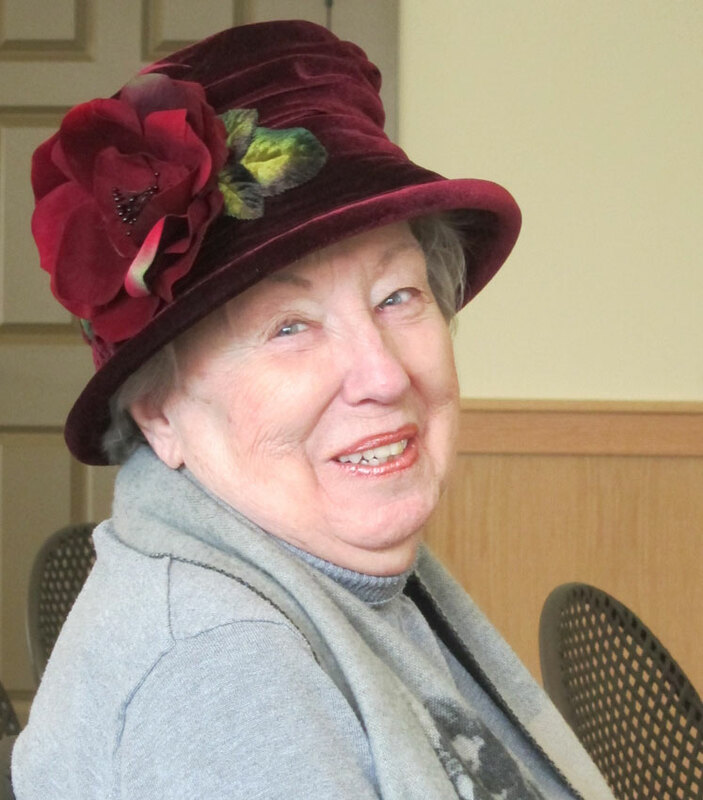 Guests were encouraged to wear vintage hats – this charming lady was prepared. One possible origin for the work millenary is from the making of hats in Milan, Italy. 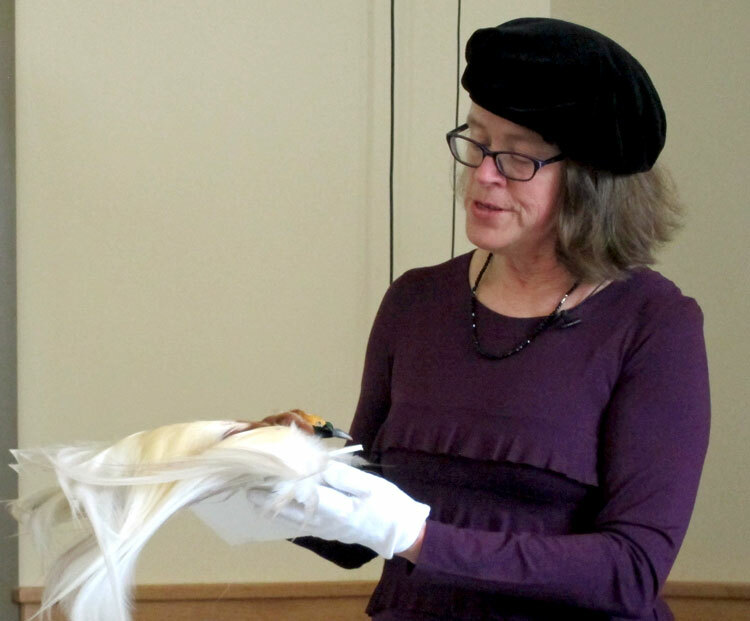 Bird feathers were popular to decorate hats, but here is a hat made with an entire bird. Because of the slaughter of birds, Harriet Hemmenway and Mina Hall urged their friends to stop wearing feathered hats. Their efforts led to the establishment of the Massachusetts Audubon Society in 1896, leading to the national organization. 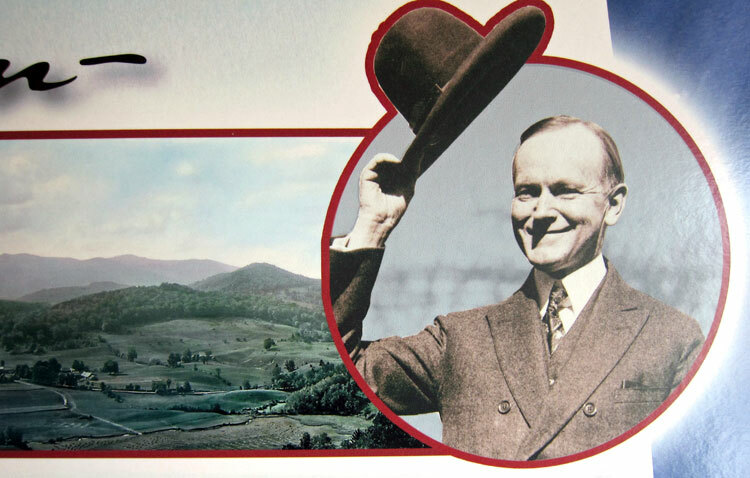 When President Coolidge died, his wife, Grace, gave all his clothing away but took all the labels out so people could not capitalize on what they owned. She gave his top hats to a magician friend to pull rabbits out of, but blanked out the President’s name. 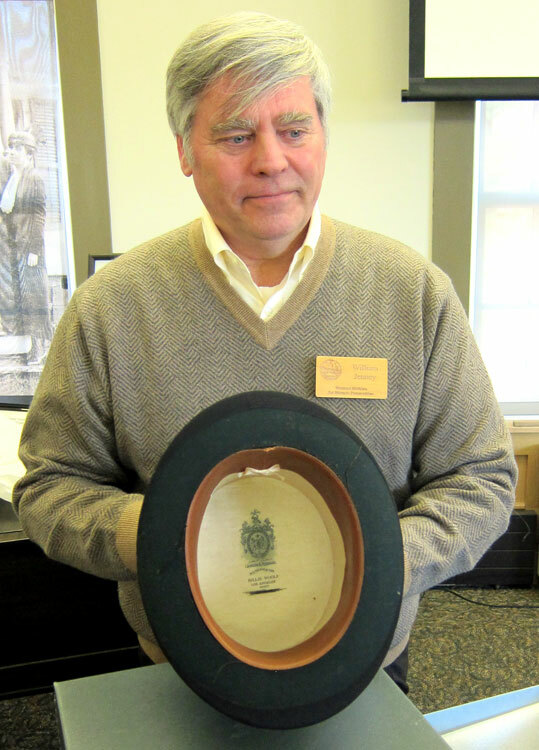 The son of that magician recently gave the hats to the Coolidge site, and here Bill Jenney is sharing one with the President’s name blanked out by Grace. No man would be seen outside without his hat, but by the 1950s hats were losing favor, partially due to lifestyle and for ease getting in and out of autos. RAB on departure, but a young man who loved MGs and was photographing BLUE BELLE graciously took our picture. 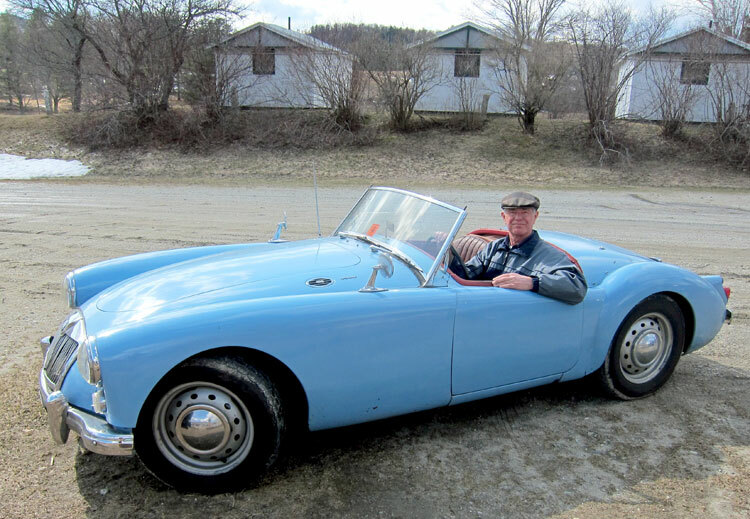 Wearing a hat is not a problem for RAB seen here with one of my sports car appropriate chapeau – this one purchased in London – Heathrow, but I have others purchased in Kinsale, Ireland, and Portugal. When Kennedy became President, hat manufacturers hoped he would wear a hat, but his refusal to wear hats signaled an end to the industry. Usually BB1 or BB2 stop at the general store for a “fill-up” but today BLUE BELLE wanted to stop in front of Calvin’s home. We will be back, Plymouth Notch !!! This entry was posted in Day (or maybe two) Trips and tagged Calvin Coolidge National Historic Site, Plymouth Notch, Vermont. Bookmark the permalink. Nice trip Ray. Love your hat and enjoyed the other vintage hats. Hoping you get the book done by the end of the month. Know you will. Spittng snow here today. Oh how lovely. Knew it was too good to be true and be spring.